At Unity, we all strive every day to serve the Indian engineering industry with quality gauges, precision measuring instruments and tooling solutions. Since 1992, throughout the history of the business we have always valued our customers the most and their satisfaction is our utmost priority. Our list of satisfied customers is very long and includes some reputed brands like Tata group, Maruti group, Hero Honda, Eicher Tractors, New Holland, Kirloskar group, Ashok Leyland, TVS group, Greaves cotton, Bajaj, Force Motors, public sector undertakings like HAL, BHEL etc. Limit Gauges – Plain Plug gauges / Snap gauges / Adjustable Snap Gauges / Fixed Snap Gauges / Width Gauges/ Master Setting Ring / Go – No Go Ring Gauges / Taper gauges / Measuring Pins. 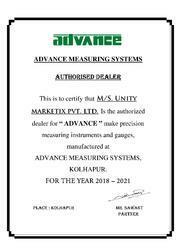 Instruments – Air gauge unit / Air Electronic Gauges / Comparator Stands / Sine Centres / Sine Bars / Gear DOB Checking Instruments / Digital Gear PCD checking instrument / Test Mandrels / Master Cylinders / Shallow Bore Gauges. Air Gauges – Air plug gauge with setting ring / Air Ring Gauge with Setting Plug / Air Snap gauge with OD setting master, Air Electronic Column gauges, 4 / 8 channel digital display / Dial Type Air gauge units. Machine Tools – Tapping machines / Drilling Machines / Chamfering machines. Clamping Devices and Elements – T-nuts / Hex Nuts / Washers / Studs / Bolts / Strap Clamps. The USP of Unity group lies in its high accuracy and precision, which is achieved with the help of highly skilled and experienced manpower. These technicians have honed their skills at Unity over last 30-40 years. 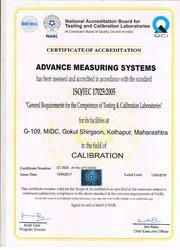 Besides manpower other facilities like sub-zero treatment, NABL calibration Lab are available at Unity which ensures the highest accuracy and durability of its gauges & Instruments. We at UNITY MARKETIX Pvt. 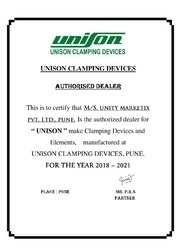 Ltd., carry out the sales and marketing activities for all the products manufactured under the brand UNITY, UNISON, ADVANCE, TAP FAST and believe to have UNITY as a one point source for its customers for their precision gauges, measuring instruments and tooling requirements. Under the leadership and guidance of our mentor and director, Mr. P.K. Sawant, we have been able to attain a commendable position in the industry. His experience and skills have helped us in meeting the requirements and demands of our clients. Trading of Gauges and Instruments, Air Gauges, Comparator and Dial Stands, Gear Checking Equipment, Clamping Devices and Elements, Machine Tools and Accessories, etc. Our team works in close coordination with our clients, to understand their requirements and demands. 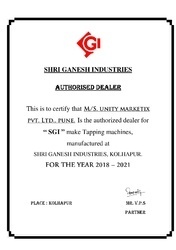 In addition to this, they work in close proximity and coordination with each other, to manufacture the best quality tapping machines and gauge instruments as per the international quality norms and regulations. 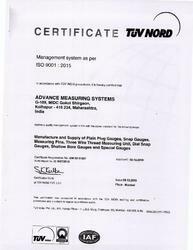 We have been able to provide our clients with best quality gauges, precision measuring instruments and tooling solutions, due to our ultra-modern infrastructure and skilled professionals. With our ability to meet the precise requirements of our clients, we have been able to attain their trust and confidence. Timely delivery of the quality assured tapping machines and allied products, has helped us to cater to a huge clientele across the nation. By following quality conscious approach and total quality management at different stages of production of the offered tapping machines and gauge instruments, we ensure high standard of quality is maintained at our end. Our infrastructure is carefully divided into different units such as manufacturing, warehousing, packaging, in-house quality testing and sales & marketing unit, to ensure that all the on-going processes are carried out in the most streamlined manner. Appreciated among our clients for its large production capacity, the offered infrastructure is well-equipped with latest machinery and equipment.